A testimony: winning the International Symposium on Atherosclerosis for Oman in 2024 in Canada (pictured) was due to the strength, professionalism and achievements of the Oman Society of Lipids and Atherosclerosis led by Dr Khalid Al Rasadi and Dr Fahad Al Zadjali, and the teamwork that evolved with the Oman Convention Bureau and the Oman Convention & Exhibition Centre behind them – all working together as Team Oman. 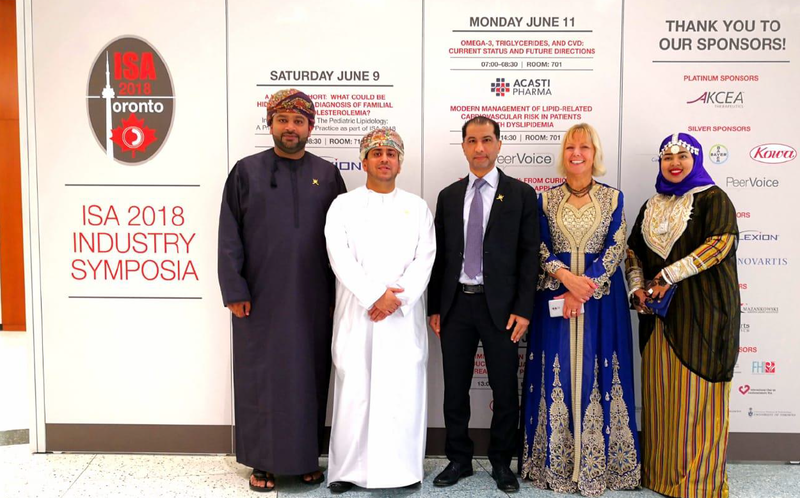 The marketing and promotion of the Oman Convention & Exhibition Centre (OCEC) started well before the establishment of the Oman Convention Bureau (OCB), so the initial research, qualification, bid preparation and presentations have been undertaken by OCEC. Now we work together with OCB led by the Director Khalid Al Zadjali as one team: Team Oman. From the beginning, in order to get to an association bid stage, the team made face-to-face sales calls, undertook international roadshows, attended trade shows and are actively involved with ICCA with their vital database in order to find leads and other opportunities such as the ARP initiative. Persistent promotional activities and a strong database have led to Oman winning - in a very short time frame - 16 regional and international association conferences, with many more in the pipeline. Together with OCB, we have already spent some time working with and helping to develop the local association market in Oman. We have encouraged thought leaders and subject matter experts to bid for the association conference in their field. Oman is lucky in that the local association market is very strong, especially in the fields of healthcare; heritage, culture and tourism; and infrastructure and logistics. The market's prominence is also helped by the fact Oman is the food hub of the Arabian Gulf and its strength in forming connections i.e. ICT and air travel. We have worked with ICCA on a number of events to educate and help develop our local association market, and we held our first ICCA Oman Meetings Association Expert Forum in November last year and invited key international associations together with our local experts. This will now be an annual event, with the next edition being held from 5-6 December 2018. In addition, the number of association meetings in Oman has doubled in 2017 as per the International Congress and Convention Association’s (ICCA’s) recently released statistics. Oman is now placed 2nd in the Middle East and 86th in the world. Find out more about ICCA's Association Relations Partner programme and how ICCA can help you engage with and develop your local association meetings market!